India team that is one of the Favourite team for winning third T20 World cup 2010 wants to stay in T20 World cup by winning next two super eight round matches against Sri Lanka and West Indies after bad defeat against Australia. Australia poorly defeated India by hitting hard its bowling and batting but Indian Captain M.S Dhoni is hopeful to make a comeback in upcoming matches and to qualify for the Semi Finals of T20 World cup 2010. M.S Dhoni said that we are hopeful to win in upcoming matches by performing well. 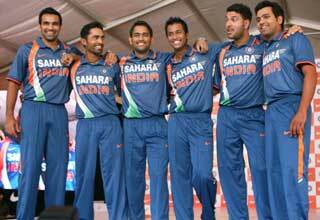 India won the First T20 World cup while in second T20 world cup it was out in Super Eight round.